Seven months ago Gully 3 was just like any other gully on the farm. Stock teetered on the edge of its steep sides; sidlings, they’re called. It was used to graze beef animals, as their sturdy frames can handle the tricky contours. Although it was good for our heavy, stocky animals, it wasn’t good for the eroding land, or its wet gully floor. New Zealand wetlands are often misunderstood. By and large they’ve been forgotten about, ploughed up, hoofed up, dredged up and in some cases actively drained out. It’s been estimated that about 90 per cent of our wetlands have been drained – one of the largest wetland losses anywhere in the world. 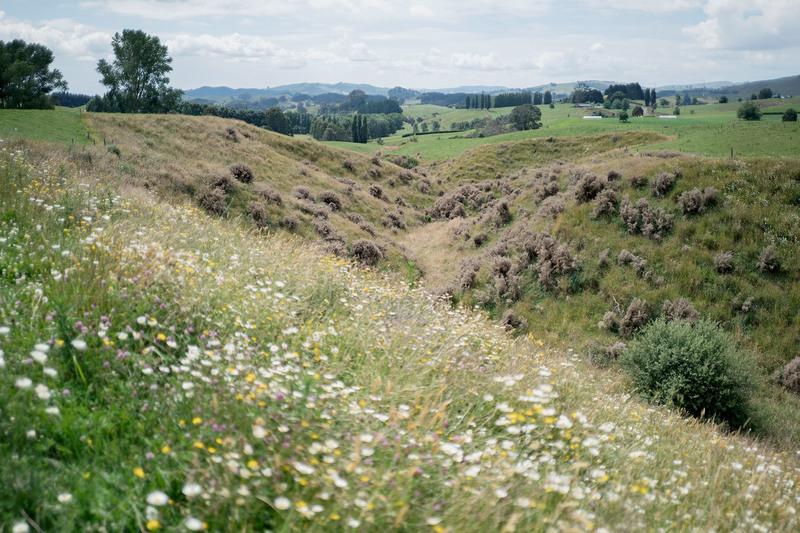 They once covered large areas of the Waikato, but are now some of our rarest and most at-risk ecosystems, occupying only about 2 per cent of our land area. Losses are mainly due to farming, through wetland drainage and grazing. In their natural state, generally speaking, these ‘kidneys of the landscape’ are effective at filtering groundwater and transforming contaminants lost from the land and nutrients that could harm our rivers; which get into the waterways through leaching and surface run-off. Microbes living in wetlands absorb and break down these nutrients, which in turn increases the quality of the water. Wetland degradation is also caused by cow excrement running off and into the arteries or wetlands and heading downstream. In the Waikato, where dairy farming meets the river, it has become a big problem. There has been a push to fence off waterways and create stock exclusion zones. The sloping steep, narrow corridors of land are what’s called marginal – they don’t feed the milking cows adequately. It’s our view that it’s land that’s better put to other use, such as honey production. Bees love to feast on our native flower-producing trees and shrubs, which can be planted in these areas, thereby restoring their productive value. Today Gully 3, which was previously a fenced-off, non-organic part of the farm, is in the quiet, first stages of growth. During winter last year we sold the beef animals and sprayed to get rid of the gorse that would overpower new plants. Then, its five-plus hectares were planted with a blend of trees to benefit both the riparian and wetland areas. 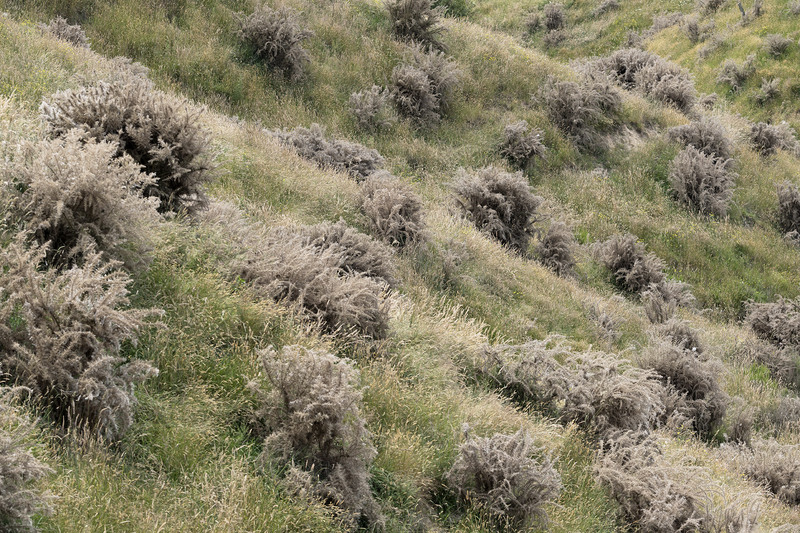 The gully slope now grows cabbage trees, harakeke (flax) and manuka. The wetland area has cabbage trees, giant umbrella sedge, rautahi (cutty grass), harakeke (flax) and toetoe. In a few short years its rank grass, pampas, gorse and willows will be gone and a diverse, curated blanket of native flora will be flourishing. Its introduced pests will be controlled and birds, bees and local eels will thrive. However, the biggest difference is that nutrients from our dairy farm will not be contaminating the river to the same extent as they may have in the past. Even though we can see a dramatic difference, it’s important we keep feeding the good and keeping tabs on the bad. Gully 3 and the Maungatautari Wetland Restoration still need our help, and the help of our partners, for years to come. We need to keep on doing our bit in our pocket of paradise.